Lake ice cover provides a clear indicator of climate change and variability. Because human observers have recorded the dates of ice on and ice off on many lakes around the world, lake ice provides a view of what is happening, often well before direct climate measurements of temperature were available. In Wisconsin and other states some records began as early as the 1850s. So what do these records tell us? Professor John Magnuson, emeritus professor at the University of Wisconsin-Madison, will talk about the changes and variability in ice cover in Wisconsin lakes from the 1850s to the present. Several of our Wisconsin inland lakes now have had one or more winters with incomplete ice cover. One long-term record in Japan comes from a Shinto ceremony on Lake Suwa that began before Columbus discovered America and another in Finland that began before the start of the Industrial Revolution. He will also discuss the value of lake ice to us largely for cultural reasons and as a measure of what is happening to climate. This event is sponsored by the Mercer Public Library. Iron County Outdoor Recreation Enthusiasts (ICORE), Turtle River Pursuit, and the University of Wisconsin-Speakers Bureau. Magnuson has a BS and MS from the University of Minnesota–St. Paul and a PhD from the University of British Columbia, Canada. He was president of the American Fisheries Society (1981) and a founding member of its Wisconsin Chapter, directed the Ecology Program (1976) at the National Science Foundation, and chaired National Academy Committees addressing marine fisheries and biodiversity. Magnuson was a first co-chair of the “Wisconsin Initiative on Climate Change Impacts” from 2007–2011, and played a lead role for inland waters in the 1995 and 2001 assessments by the Intergovernmental Panel on Climate Change. He co-chaired Waters of Wisconsin (Wisconsin Academy of Sciences, Arts, and Letters, 2001–2004) and is currently active in WOW 2. 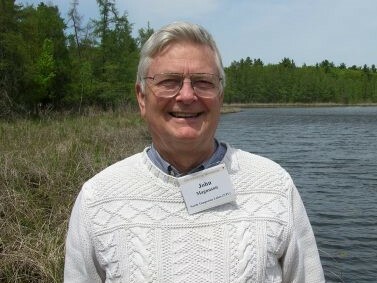 His latest book, Long-Term Dynamics of Lakes in the Landscape (Magnuson, Kratz, & Benson 2006), covers the 1982 to 2004 results of long-term ecological research on Wisconsin lakes funded by the National Science Foundation. Recently, Magnuson has been active in Friends of the Lakeshore Nature Preserve and The Nature Conservancy.